I was very keen to try out chalk pen art this Christmas, so bought an Edding 4095 chalk marker (bullet nip) from Amazon (although since then have noticed WH Smith have a few different ones, including colours). 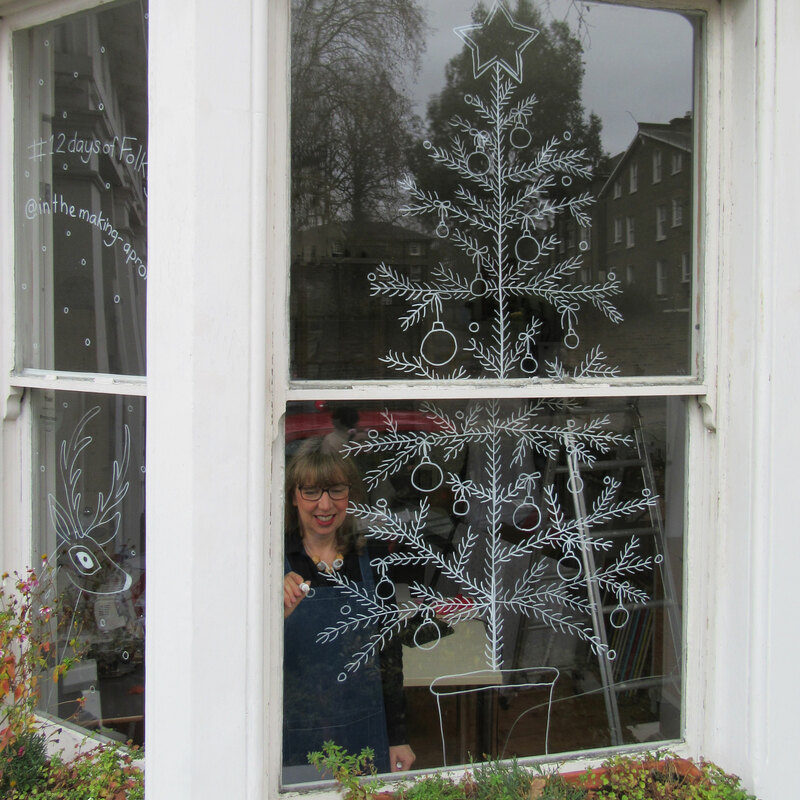 I drew out my designs on paper first, taped them to the outside of the window, then ‘traced’ on the inside of the glass with the chalk pen – took the paper off and drew more little branches, baubles and ‘snow’ to balance the design here and there. It was really fun and also inadvertantly provided street entertainment for the people visiting the school fair over the road!! 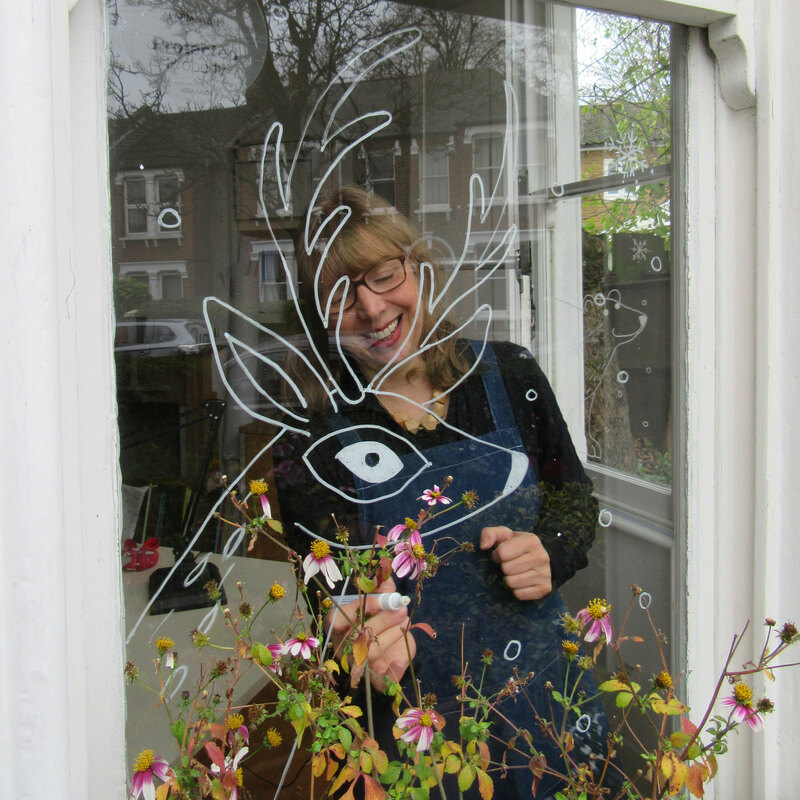 AND – I won a prize from Folksy as part of #12daysoffolksy Instagram challenge ‘Let it snow’ !!! 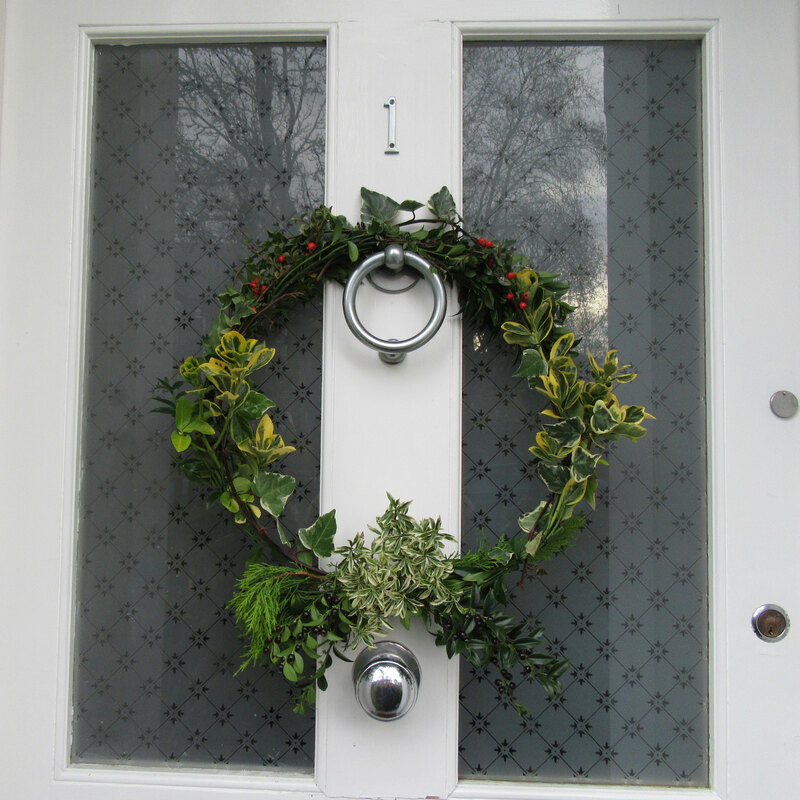 This year’s door wreath is a bit early – to be part of #12daysoffolksy Instagram challenge – it’s entirely made of cuttings from the garden and some green gardening wire. This entry was posted in News and tagged chalk pen art, Christmas decorating, drawing, Lisa Bennett on December 10, 2018 by lisabenn.